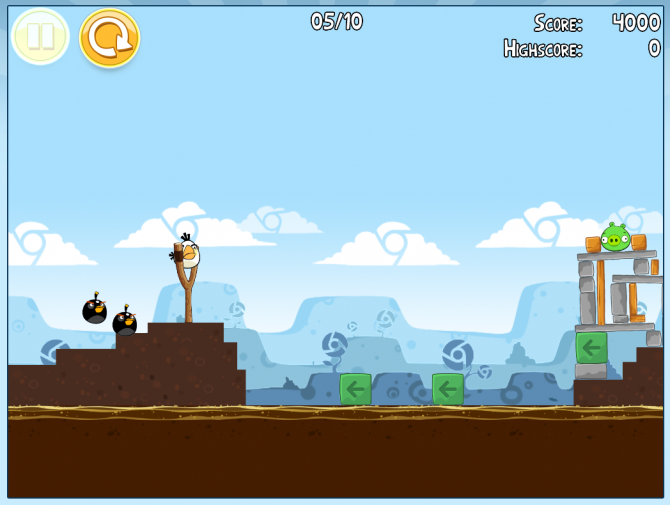 Angry Birds hits Chrome Web Store (yes, it’s free) - iPhone.MY - Daily News On Mac, iPhone, iPads, iPods and more! Here at San Francisco’s Moscone West, the Google I/O 2011 keynote has just wrapped up. Being their most important annual pilgrimage for developers, the show is a launchpad for important new products and announcements. 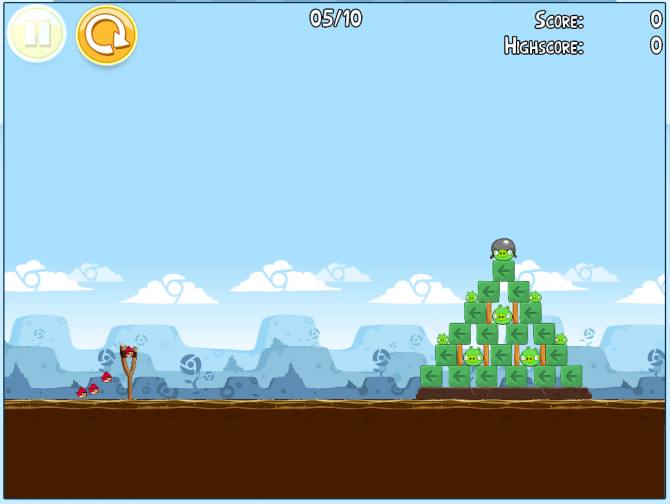 For some people, the biggest news is that popular Angry Birds franchise is now available for the most popular platform of all – the web. Joining Google’s senior vice president of Chrome Sundar Pichai on stage was Peter Vesterbacka, the CEO of Espoo, Finland-based multi-million dollar Angry Birds developer Rovio Mobile. Wearing a red Angry Birds sweatshirt, Vesterbacka announced that the Angry Birds web app is now available on the Chrome Web Store. More information and three screenies right after the break. The game can be downloaded for offline execution so you don’t have to worry about losing your Internet connectivity in the middle of gameplay. Moreover, it uses WebGL for smooth graphics and delivers full HD experience “provided your browser supports hardware-accelerate graphics”(Note: Chrome does). If your browser doesn’t support WebGL, the game falls back to using CSS Canvas elements, Vesterbacka noted. And thanks to the latest in-app purchase Google unveiled for web apps with five percent flat fee, you can buy a Mighty Eagle for 99 cents inside the web app to clear the level that has been ticking you off. Mighty Eagle was only available in iOS version until today, mind you. 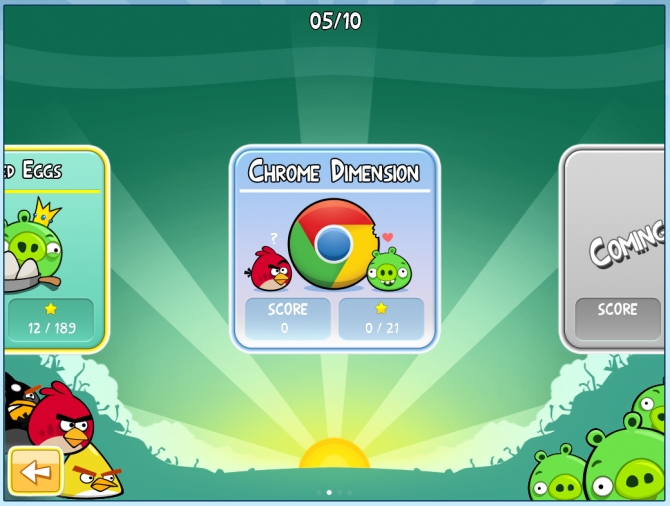 What’s best, Angry Birds for Chrome is totally free because it’s ad-supported, like on Android. What are you waiting, download it now (requires Chrome version). The Google Chromebook, it’s nothing but the web.